Samsung is working hard to eliminate bezels from its smartphones. From the circular camera cut-out in its forthcoming Galaxy A8s, to the notchless, edge-to-edge design tipped to launch with the flagship Galaxy S10 and Galaxy S10 Plus early next year, it’s clear the South Korean company is not a fan of borders around its screens. This allows the phone maker to squeeze more screen real estate into its handsets while keeping their physical footprint small enough to still use one-handed. 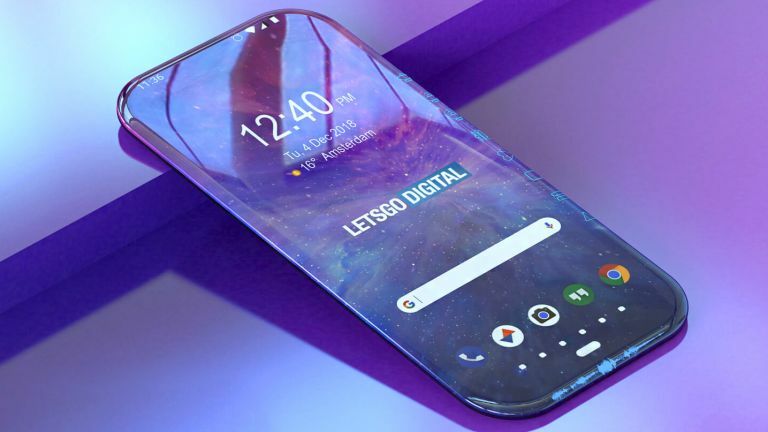 Whether this will extend to all four borders of the smartphone in future iterations of the Galaxy S series – the Samsung Galaxy S11 in 2020, for example – remains to be seen. It’s worth taking this all-screen smartphone design with a pinch of salt. After all, Samsung patents a slew of new technology and features which never leave the R&D department inside the company, so it’s possible this biometric sensor will never make it into a final product. But we’re keeping our fingers crossed that it does. Posted in Blog, Tech Corner and tagged #2019, #announcement, #blackfriday, #cheap, #christmas, #cybermonday, #data, #facebook, #Galaxy, #galaxyS10, #GalaxyS11, #gaming, #google, #Graphics, #hacked, #hacker, #Hackers, #mcsc, #messiah, #News, #presents, #S10, #samsung, #security, #smartphones, #tech, #TheMessiah, #WASHINGTON, #whatsApp, Anonymous, hackernews, messiahcybersecurityandconsultancy.